So, I decided I'd try to sell my leftover bazaar items here on my blog at discounted prices! The flowers and kerchiefs come in both small and big sizes. 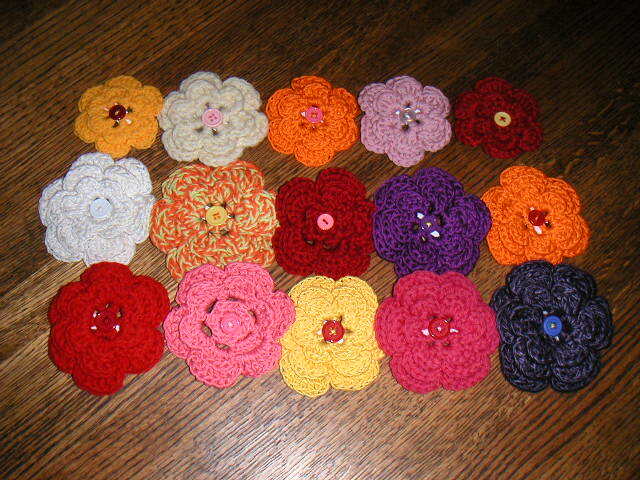 The top row of flowers are the small ones, approximately three inches wide, and are $8. The larger ones, about four inches wide, are $9. The next photo shows the small kerchiefs, which are 16 inches wide where the ties are. Those are $14. 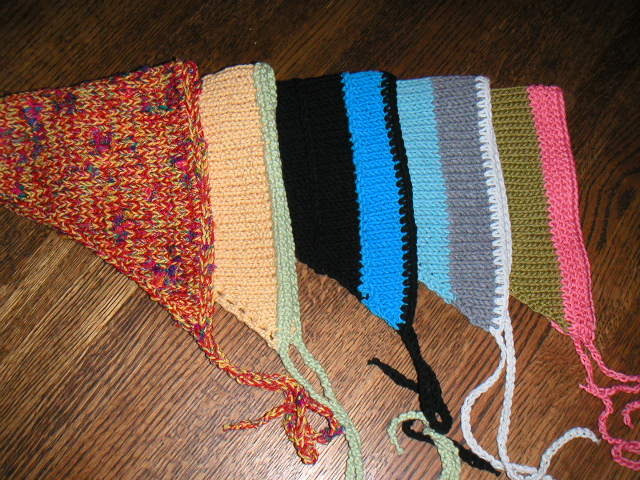 The larger kerchiefs are 19 inches wide and are $16. Shipping would probably be no more than $4. First come, first served. Payment must be through PayPal. If you are interested, email me. These flowers are sold: top row, orange and red flowers; middle row, orange multi and orange flowers; bottom row, both light and dark pink flowers. 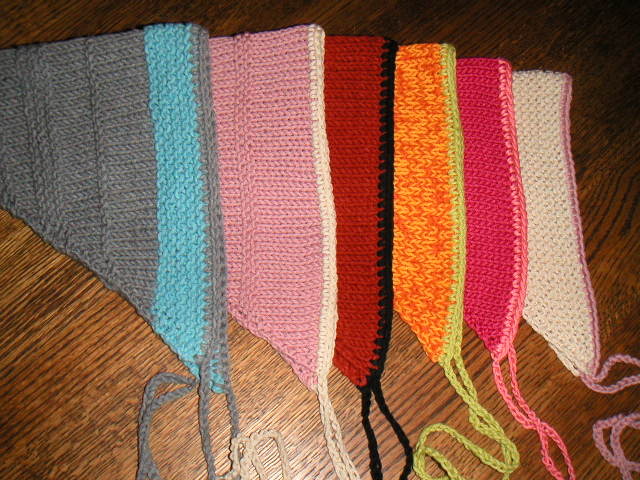 These kerchiefs are sold: small size, pink and olive green; big size, orange multi. Thanks to everyone who has made a purchase!